Are you passionate about providing outstanding dental care to patients? Dentists@Burswood is looking for exceptional dentists who are committed to putting our patients first. Join a team of supportive and passionate employees and dentists who are proud to care for patients comfort and each other. Be part of a wider group of highly skilled dentists within the 4 locations, build your skill and knowledge with our in-house dental study events or shine with your personality and interests. 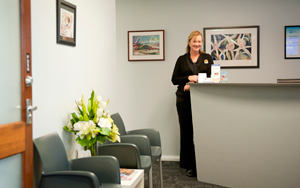 We are a West Australian-owned and operated practice. Our professional team is committed to excellence in dentistry. We also offer a wonderful support network, flexible hours, competitive wages, career development pathways, a family friendly environment, modern and clean facilities, social and networking opportunities. If you’d like to work in our friendly, dynamic office, we’d like to talk to you! Contact us today.